As a proud former administrative professional, I’ve always enjoyed being a part of the admin community. In fact, from the moment I got involved in the field, I wanted to be an admin leader. I felt called to it from day 1. I loved the work and the people, and (even as a total novice) I thought I had something valuable to offer. So, back in 2006, I started a blog for admins called The Executive Assistant’s Toolbox, where I shared tips and tricks for success in the field. I was by no means an expert. I was simply sharing my own experiences. It was a passion project and I loved the idea that, by sharing my workplace challenges, I could help other admins. Shockingly, that blog got really popular really fast. Before I knew it, my entire world had changed. I was no longer an anonymous admin; I was officially seen as a leader in the admin field. I was being interviewed by major news publications! My writing was being featured on some of the biggest websites in the world! In 2008, things got really crazy. My blog was actually purchased by a start-up company (an online community for admins) and I was hired to help build it. Unfortunately, that company is no longer in business, but I spent a few years as their community spokesperson, writing professional development articles for admins and traveling the country to meet our admin community on a regular basis. In short, I became an Admin Leader, just as I always wanted to be. I eventually started my own company providing career coaching and training—and the rest is history! Today, I am still a true supporter of administrative professionals. Over the past 10 years, we’ve had more and more people step up to become Admin Leaders themselves—people who are currently working as admins fulltime and those who (like me) have transitioned to other fields but still remain dedicated to the admin community. Even with all of these fantastic admin leaders, we still need more. We need people who embrace the admin role as a career of choice and want to help elevate the administrative profession. 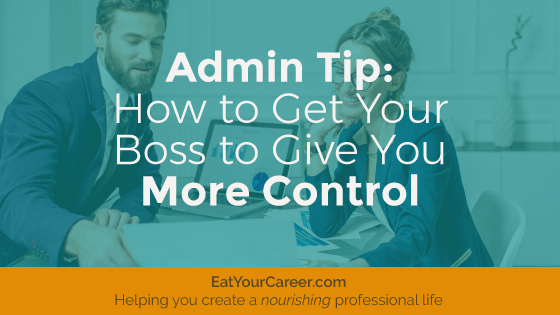 We need people who are vocal advocates for their fellow admins and understand what it takes to thrive as an administrative professional. We need people to step up and provide support to support professionals—the people who often need it most but rarely get it. As an Admin Leader, you also stand to gain a lot personally and professionally. You will raise your visibility in the workplace and others will start to view you as not only an Admin Leader, but as a leader in general. You will discover amazing opportunities you never knew existed, and you will expand your skills in ways you never thought possible. 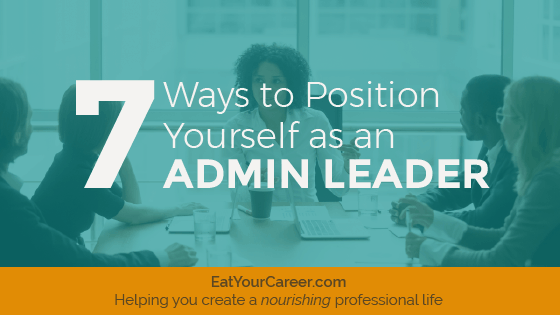 If you’re an admin who appreciates the role and you believe you have something to offer your fellow administrative professionals, I strongly encourage you to position yourself as an Admin Leader by engaging in some (or all) of the following activities. Administrative assistants and executive assistants have a unique set of time management challenges. In essence, as a support professional, your time is not your own. Your job is (primarily) to help others accomplish their goals. Therefore, when they need something, you’re supposed to drop what you’re doing and help. To make matters worse, they often need things that are both unexpected and urgent. Simply closing your door and focusing on your own priorities isn’t an option. All of this can make time management feel like a nearly impossible task! But take heart, my dear admin friend. There are strategies that will help you make the most of your time, while still being appropriately responsive to the needs of the people you support.